The Evangelical Lutheran Mission Diocese of Finland (Suomen evankelisluterilainen lähetyshiippakunta, Lhpk) is an independent lutheran church formed by its member congregations. It has been founded to carry out the mission given by the Lord to the Church by supporting the congregations, their pastors and members for the preservation, renewal and spreading of the Christian faith and life. The Mission Diocese is led by a Bishop elected jointly by the clergy and congregational representatives, together with the diocesan administrative organs. Its activities are directed by the Diocesan Order (constitutional rules) validated by the Diocesan Assembly. The pastors and other employees its congregations are employed by the background organisations that are responsible for the economy of the congregations. The background organisations are supporting members of the Mission Diocese. The Mission Diocese is part of the Nordic and worldwide community of confessional Lutherans. 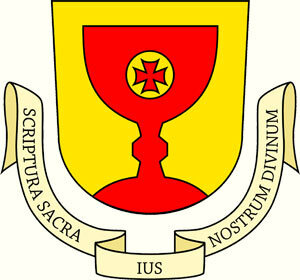 The Mission Diocese co-operates with many Lutheran churches, dioceses and organisations.